Sarah is a Yorkshire based artist, living and working in Ramsgill, a rural village in Upper Nidderdale. 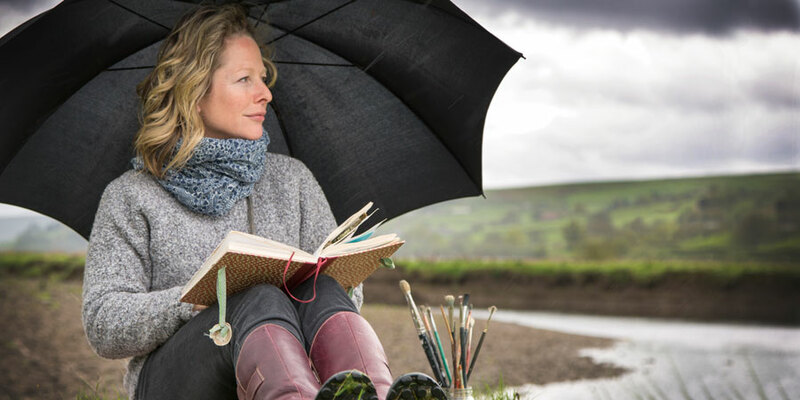 Since graduating from the University of Northumbria in 1994 she has enjoyed a varied career which has taken her to far reaching places as a travel artist and back to her roots in the Yorkshire Dales using the rivers, reservoirs and bridle paths as her inspiration. 'All my work starts on a walk. Often the painting starts a long time before the paint touches the board, they are in mind, churned over, ideas disregarded, fine tuned, and even then a eureka moment can quickly fall by the wayside when put into practice. Even though the initial seed is sown on a walk, back in the studio work is becoming increasingly less reference driven, trying to create the essence of a hidden place without analyzing every brushstroke, trying to let the paint flow, instinctively knowing which colour to dip into next.